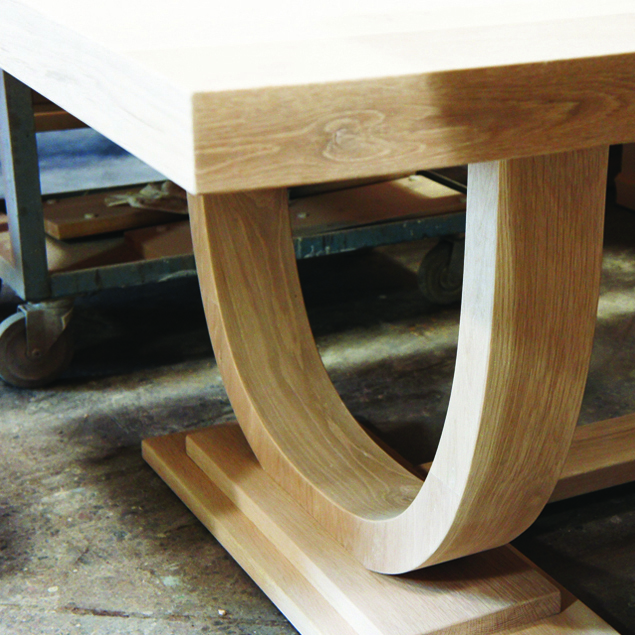 All furniture projects are designed and built on site in our Toronto workshop. Time and care are put into the fabrication of every custom piece. From start to finish, we do all design, construction and finishing. We can advise you on the most appropriate materials, color, size and finishes for your project, and provide samples for your approval. Guiding you through the process is our commitment to ensure that your custom furniture is built to meet your expectations. Custom furniture means your home with have the look and feel that represents your individual style. We work with a wide range of clients, from private customers to leading Toronto interior designers. Custom dining tables continue to be our #1 bestseller. Seating for 4 or 24, we will work with you to create the perfect table for your home. Great food and wine should be shared with family and friends at a great table. Custom storage solutions for any room in your home, from bathroom vanities to kitchen islands, built-in or freestanding units. Built for you to meet your exact specifications. For your living room, we can build a wide range of options including custom coffee tables, end tables, bookcases, sofa tables, and console tables to compliment your existing decor. For your dining room, we can create not only dining tables but also buffets and sideboards for your serving, display and storage needs. For your bedroom, we can customize armoires, beds, dressers, and nightstands to suit your traditional or contemporary style. Any style from rustic to modern, our entertainment centres, theatre cabinets and stands can be designed for your family room or media room. Make your workspace even better with a custom built desk, workstation, wall office, credenza or file cabinet, made to fit exactly.